- Three designs in one! 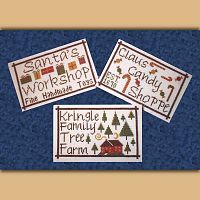 Signs for all your Christmas favorites: Santa's Workshop, Claus Candy Shoppe, and the Kringle Family Tree Farm. These would make a lovely pillow set, or stitch and hang as a group for adorable Christmas decorations. 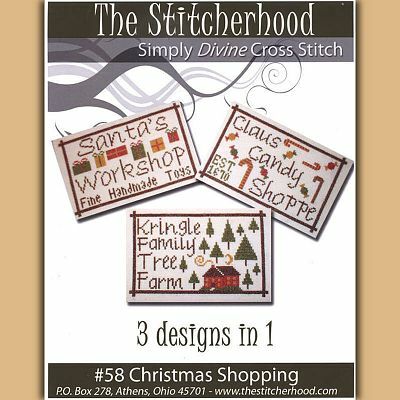 Each design measures 57 stitches high by 91 stitches wide. 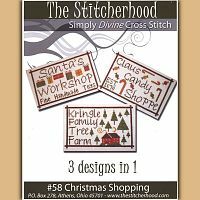 Do you have any other questions about our Christmas Shopping Patterns?